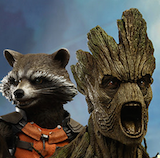 Angry Koala Gear: Deadpool Joins Relaunch for Marvel NOW! 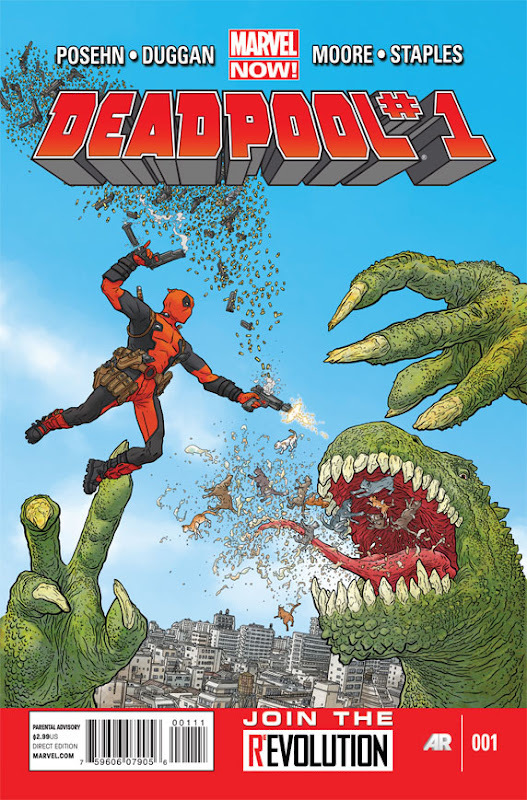 Deadpool Joins Relaunch for Marvel NOW! 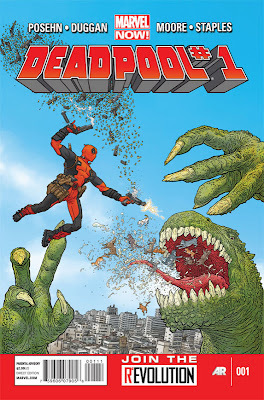 This November, Wade Wilson gets into a whole world of trouble like you’ve never seen before in Deadpool #1, kicking off the all-new ongoing series from the blockbuster creative team of writers & comedians Brian Posehn (The Sara Silverman Program), Gerry Duggan (Attack of the Show!, Infinite Horizon) and superstar artist Tony Moore (The Walking Dead)! As part of Marvel NOW!, Deadpool joins a number of titles that will take the Marvel Universe in an exciting all-new direction, as the industry’s top creators join the top Super Heroes to deliver all-new ongoing series, great for new and veteran readers alike! Washington, D.C. is in turmoil when dead former U.S. Presidents – from George Washington to Gerald Ford – are resurrected and the heroes of the Marvel Universe can’t be the ones to stop them! There’s only one other person that has the reputation, skills, and plausible deniability to handle these com-monsters in chief…NOW! is the time for Deadpool! In Wade We Trust! “Brian, Gerry & Tony are cooking up the most insane Deadpool story ever published,” said Axel Alonso, Editor In Chief, Marvel Entertainment. "Heroes will be ingested, chimichangas will be digested, dead presidents will be resurrected as the Merc with the Mouth collides with a who's who of Marvel Universe heroes, the world's unluckiest S.H.I.E.L.D. agent, and the most downright nasty zombies Tony Moore has ever drawn." Marvel NOW! is the culmination of Marvel ReEvolution, the groundbreaking new initiative to evolve the comic book experience through innovation. With Deadpool, Marvel NOW! ensures fans will discover an entirely new perspective on the Merc with a Mouth. “All your favorite presidents fighting Deadpool, what's not to like?” Posehn added. Each issue of Deadpool features special augmented reality content available exclusive through the Marvel AR app – including cover recaps, behind the scenes features and more that add value to your reading experience at no additional cost.